As stated in the previous peep identification post (that can be read here) the peeps can be split up into two distinct groups; the large (long-winged) and the small (short-winged). At times, it is not possible to tell whether the primaries extend past the tail tip, but at most times the longer, attenuated shape of the long-winged peeps is obvious. The short-winged peeps have a more compact shape that is noticeable at a distance. The large peeps are also longer legged and longer necked. The large peeps appear to be larger versions of the small peeps and smaller versions of the Pectoral Sandpiper (although structure is quite different). When feeding the large peeps tend to tip over more so their tail and and primaries are sticking up towards the sky. This is due to the longer legs but similar length bills. 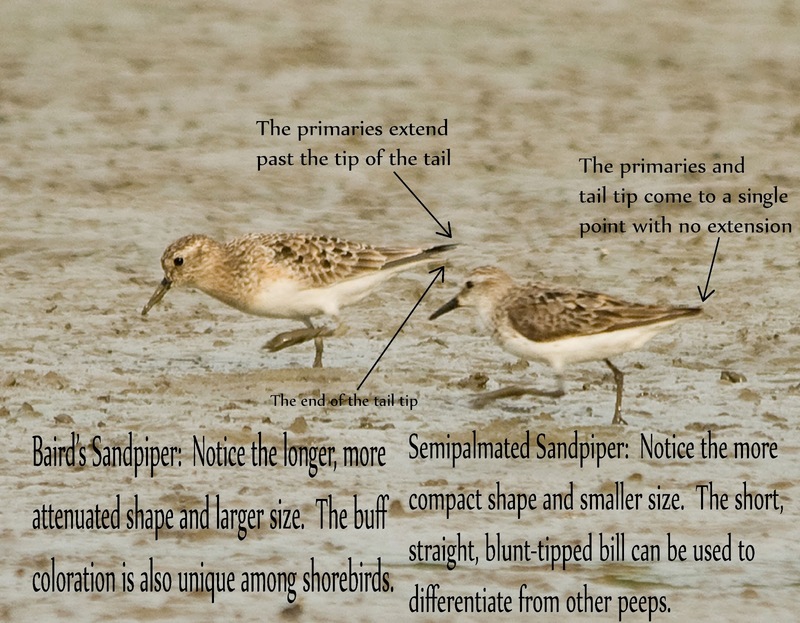 Although the Least Sandpiper can also appear "tipped-over" due to their shorter bill than other peeps. There are two species in this photo. Can you identify both species? 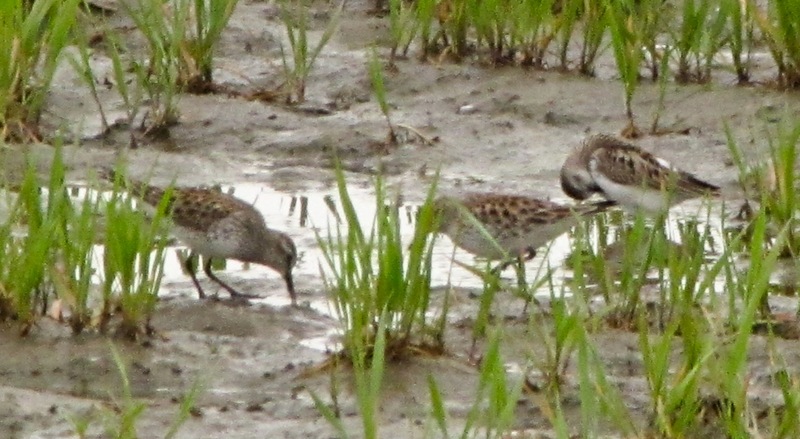 The next post will concentrate on identifying the large peeps using plumage characteristics. Great post - love this sort of information, always good to see how to specifically id peeps.